When people talk about dividing operating systems, the main argument for that sounds like "it works!". While Microsoft is improving their Windows as a cross-platform OS for better synchronization, Apple uses more sophisticated methods for their OS X and iOS. So, my dear Apple users, I'm going to tell you how to make your workflow with all devices more comfortable, and how to work fruitfully using Macs, iPhones, and iPads simultaneously. This is an online cloud storage for photos, documents and other files that can be accessible from any Apple device whether it's a MacBook Pro or a brand new iPhone X. 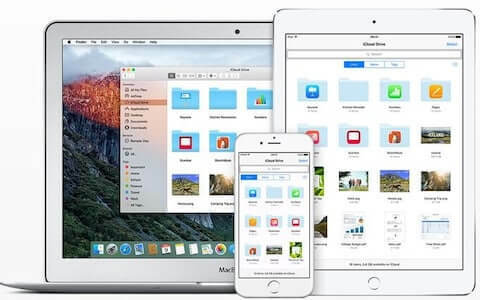 By the way, iOS 9 has a built-in iCloud Drive application that allows adding documents quickly and effectively, without any emailing files and so on. Usually, iCloud Drive is hidden from the iOS homescreen automatically. However, it can be turned on in a couple of taps. Go to 'Settings', choose 'iCloud Drive', and tap on 'Show on Home Screen' line to make it visible. If you change a file in your iCloud, this will be shown on any Apple device that has access to your iCloud vault. As for OS X, the folder with iCloud Drive can be found in the Finder menu on the left. This is a term for features that were introduced by Apple during the WWDS (Worldwide Developers Conference) in 2014. 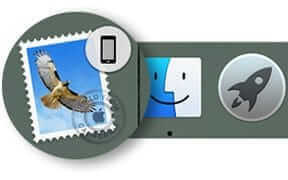 It was designed especially for starting and completing tasks across both OS X and iOS devices. 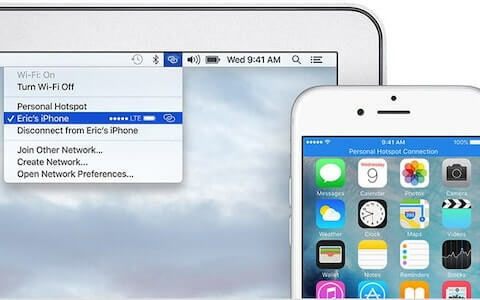 Those features are represented by Handoff that can start an email or a text message on one device and finish it on another one, Cellular calls that can help to answer incoming calls on Mac and iPad, the SMS support service for receiving iMessages and texts across all the Apple devices, and also Instant Hotspot for establishing the Internet connection. You have to be signed in the iCloud acc in order to use this feature. Use the same ID for all your Apple devices, and make sure you are connected to the same Wi-Fi. Turn on Bluetooth too. Some Apple applications have the built-in Handoff service. These are Messages, Maps, Mail, Safari browser that allows you opening pages on your iPad or iPhone which you were browsing via your Mac some time ago. To do that, tap the icon of Handoff at the left bottom of the lockscreen of your iPad or iPhone, or on the Mac's doc. Make calls and receive text messages with your MacBook not using your phone at all! Thanks to Cellular calls and SMS cross-platform support it is quite possible! They are transported to other devices through the Wi-Fi connection. Check if all your devices use the same network if your iPhone and iPad are running iOS 8 or newer ones, and Mac or MacBook are upgraded to El Capitan or OS X Yosemite. You can forward texts to other Apple devices manually. Find 'Settings' on your iPhone, go to 'Messages', choose 'Send & Receive' and tap on the boxes next to your personal phone number and the email address that is associated with the Apple ID. If you are tired of re-sending all the voice calls to your Mac, you can turn this feature off. You need to take just a couple of steps. Find 'Settings', choose 'FaceTime', turn off 'iPhone calls' in iOS. As for OS X, go to 'FaceTime', tap on 'Preferences' and deselect the calls. This feature gives you an opportunity of connecting devices with one Apple ID to bind your iPad or MacBook for using iPhone's connectivity. It will show up in the Wi-Fi connections list, it's situated in the upper right bar on your Mac. as for iPad, you can find it in 'Settings', just check the 'Wi-Fi menu' in it. This is an elegant and comfortable way of sharing pictures, documents and directions without emailing that files! For using it, your iOS devices should be upgraded to iOS 7 or above. Bluetooth and Wi-Fi must be turned on. How to activate AirDrop? Pull the menu called 'Control Centre' from the screen bottom, select the person you want to share your photo with. 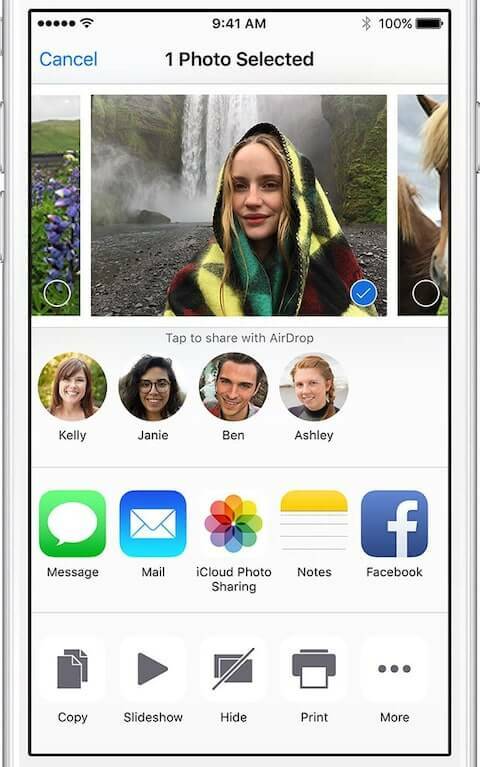 Tell it to show contacts only, or make your picture visible to all other devices nearby that are using AirDrop. If you chose a contact for sending your photo, this person should accept this request to get it. So, as you see, this way is similar to sharing files over Bluetooth. With Apple maps, you are able to share directions on a Mac, iPhone and iPad using several ways. Firstly, you may tap the 'Share' button. It is to the right from the search bar on your desktop. Select the Apple device you want to send your direction. Voila! A second method is sharing it via AirDrop. Share it, accept it. It's simple! That’s all for today, my dear friends! I hope that you will use these ways for synchronizing the content of your iPhone, iPad and Mac (or MacBook). Please share my article with your friends, if you find it really useful!